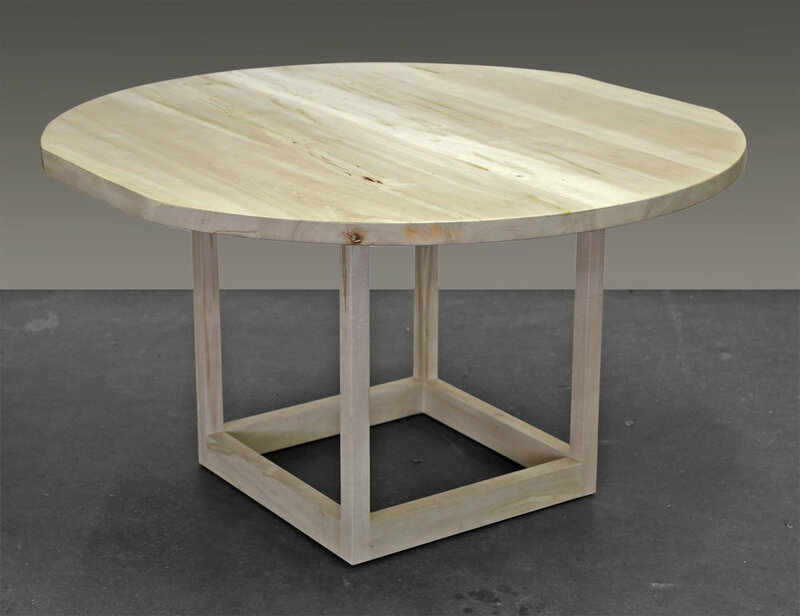 Many people have asked us to develop a live edge table that incorporates a round top and a pedestal base. Our response is the Flow Pedestal Table, shown here in bleached Ambrosia Maple with a hardwood frame base. The table has subtle live edge features that 'flow' off the edges of two sides of the round top. Each table will be custom made to order, allowing us to include more or less of the live edge according to the desired effect.